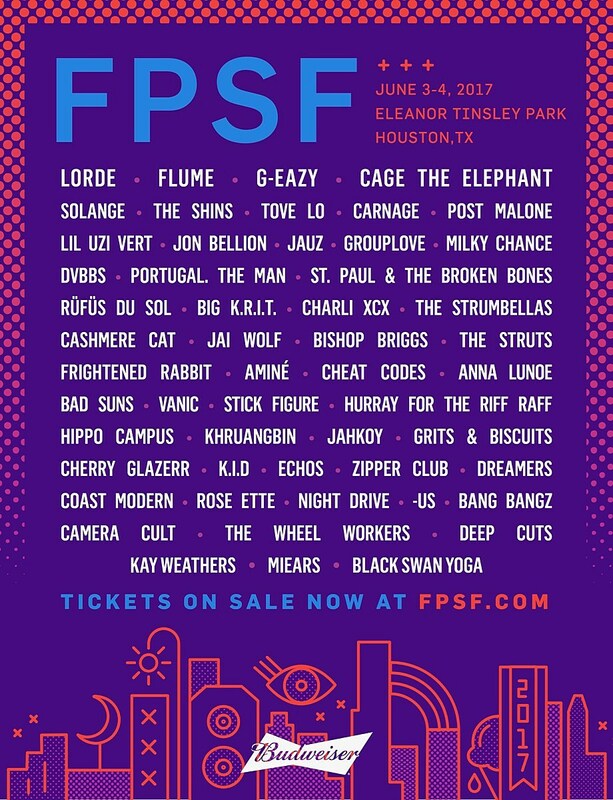 Houston, TX’s Free Press Summer Festival returns again for its ninth year on June 3 and 4 in Eleanor Tinsley Park. Houston native Solange is one of the headliners, and the others are The Shins, Lorde, Flume and G-Eazy. Other artists on the lineup include Lil Uzi Vert, Portugal. The Man, Big K.R.I.T., Charli XCX, Cashmere Cat, Frightened Rabbit, Amine, Hurray for the Riff Raff, Khruangbin, Cherry Glazerr and more. CHeck out the full lineup on the flyer below.